Your child deserves the best guitar teacher Glasgow has to offer. What I offer your child is unrivaled by any other tutor in the city. No-problem cancellation policy. Your lesson will be rescheduled in the same week (schedule permitting). See the full cancellation policy here. 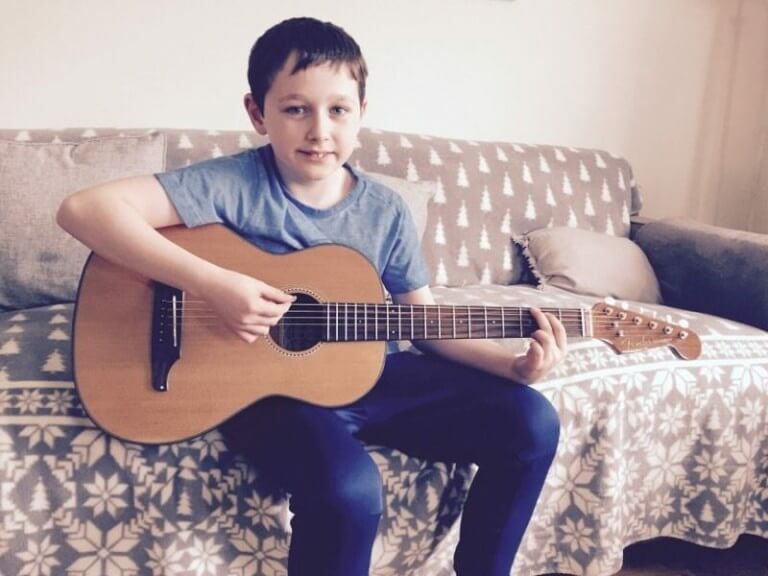 Cheaper lessons are available from other guitar teachers in Glasgow and Bearsden, but no-one offers the ease of home tuition from a child-expert, vastly experienced, quality, caring and expert tuition. Click to book a FREE lesson! The Musician’s Union, the body which works for Musician’s rights and sets standards for pay; states the current 2018/19 nationwide minimum rate for guitar lessons. My rate includes travel costs (90% of guitar tutors teach from their home, which increases your cost + effort) and reflects my expertise and experience teaching children. My rates offer great value for money, are affordable and a win-win deal for all. Check out the current Recommended rates by visiting the MU Rates page here.